*Smokin’ HOT* Walgreens: 4 FREE Right Guard Deodorants + Make $3.42! 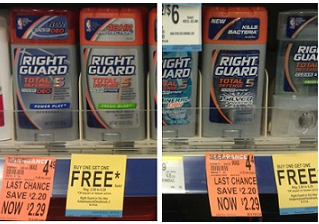 You may be able to score a super HOT deal at Walgreens right now on Right Guard Total Defense deodorant! A lot of people have been able to find these on clearance for $2.29 and they are ALSO ringing up as Buy 1 Get 1 FREE and a $4 Register Reward is printing. So, check out the super HOT deal you can score when you use coupons! 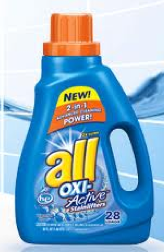 = all for 4 for FREE + make $3.42!